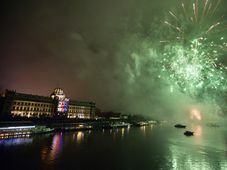 The historic National Museum building at the top of Prague’s Wenceslas Square will close its doors on Thursday for five years of major renovations – the first in the site’s 120-year-long history. When it reopens in June 2016, the museum should offer visitors a whole new experience. On Thursday, hundreds of people used the valuable opportunity to visit the museum for one last time. Photo: CTK At 10 o’clock on Thursday morning, the main door of the National Museum’s historic building opened for visitors who had one last chance to have a look inside before it closes for five years of renovation. 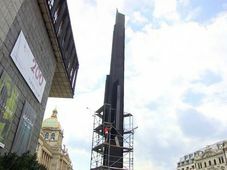 It is affected by heavy passing traffic and was twice damaged by fighting in the nearby streets in 1945 and 1968. But the museum’s interiors aren’t much better off; Jaroslav Pavlík from the National Museum says they are in bad need of repair, too. 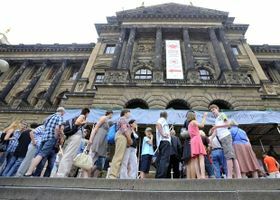 Photo: CTK Hundreds of people took advantage of the last day the main building was open and came to see its prehistoric, zoological and other exhibits. In the room with minerals exhibits on the museum’s first floor, I caught up with Marcela Tymichová. National Museum building For many Czechs, the National Museum building is more than a museum. 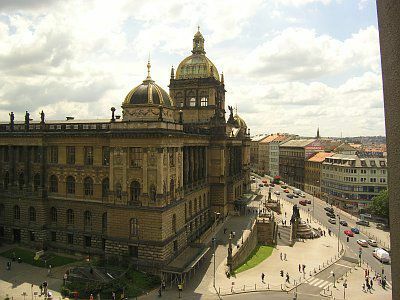 Built at a time when Czechs did not have a country of their own, it became a symbol of the nation’s yearning for freedom and independence. Eighty-three-year old Mr Vágner, who would not disclose his first name, told me he came to say goodbye. 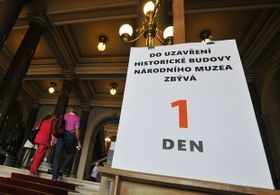 Former Federal Parliament, a part of the National Museum The renovation means some seven million items had to be removed to the museum’s depositories in what has been dubbed the biggest moving of museum collections in Czech history. 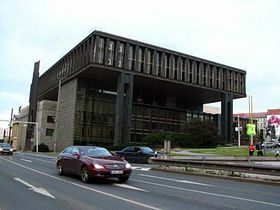 When the work is finished, the museum plans to set up the exhibitions in a modern way, and will also make it possible for visitors to walk to nearby building of the former Federal Parliament, a part of the National Museum since 2006. 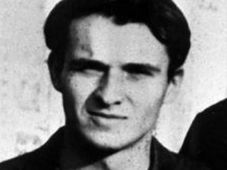 Jaroslav Pavlík again. “It will be totally different. There are two open spaces in the centre of the building that will be covered with glass roofs to make two large exposition halls. 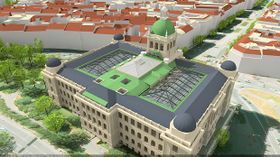 The new building and the historic building will connected by an underground passage. Before that happens, the National Museum will offer a number of exhibitions in other venues around Prague. For more details, go to www.nm.cz.